High quality glossy saddle pad made of ultrasonic quilted fabric. 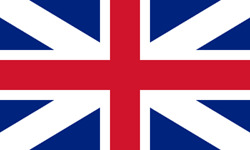 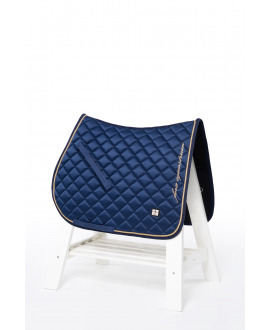 It is tough so that it retains its shape and colour even after many washes. 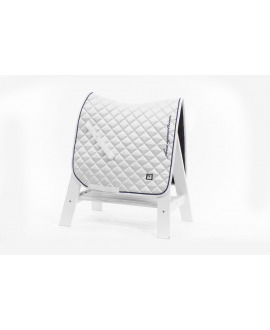 It is lined with 3D mesh with CoolMax® technology which doesn’t absorb moisture. 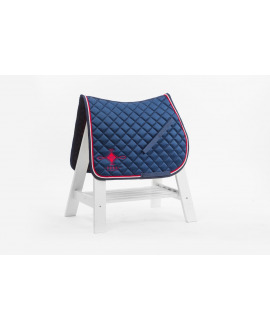 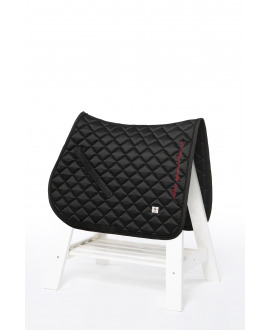 All materials used for the production of our saddle pad are quick-drying and dirt resistance. 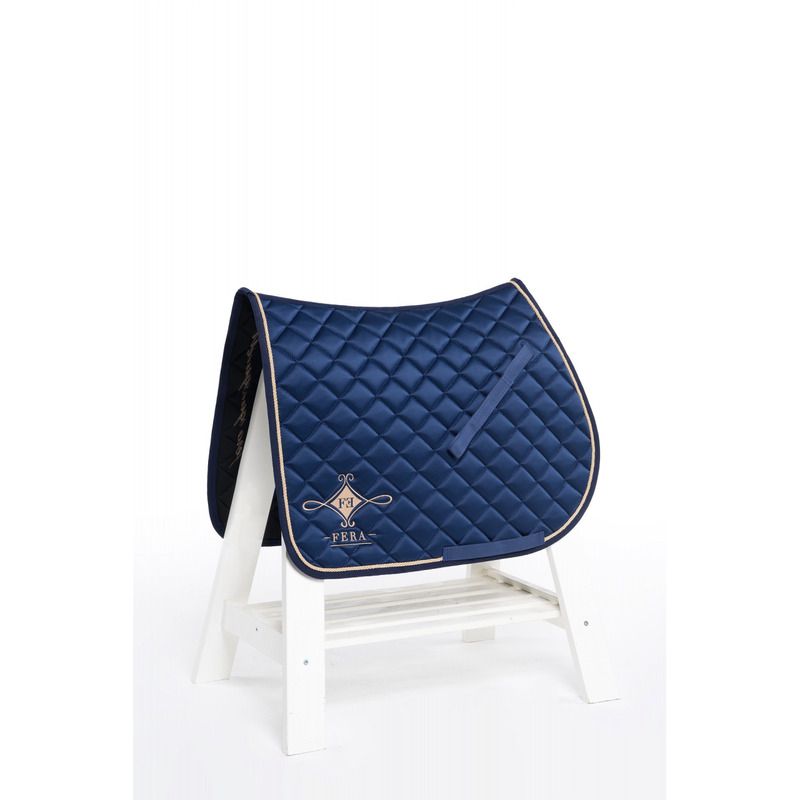 The saddle pad is embellished with embroidered logotype. 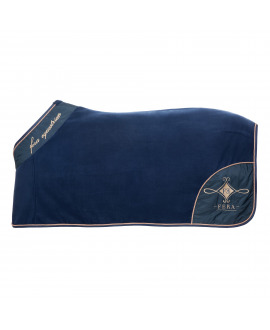 On the other side there’s vertical inscription "Fera Equestrian" and an elegant metal badge with leather underneath. 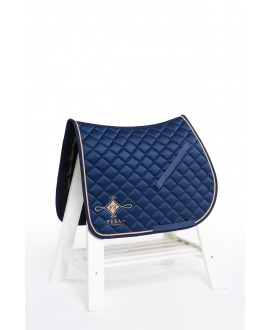 It is edged with an elegant cord. 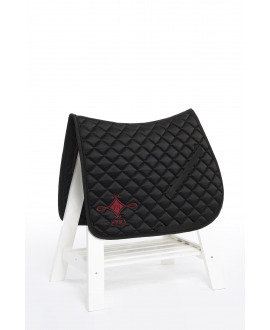 Its shape guarantees perfect fit on horse’s back. 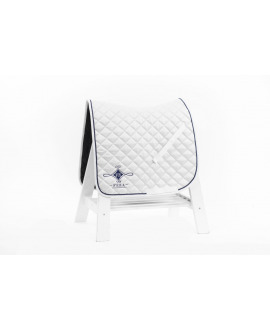 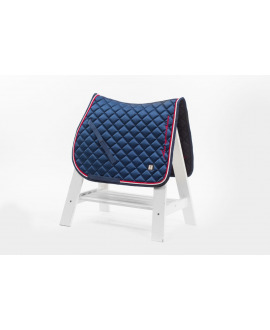 The Lamina saddle pad is very stylish that’s why it is perfect for both - training and competition.